OPEC has raised its oil production forecast for the U.S. in 2017 by 180,000 barrels per day due to higher crude prices, the cartel said in its Monthly Oil Market Report for February. One month before, OPEC forecast that U.S. production would average 13.7 million bpd in 2017 compared with 13.63 million bpd in 2016. The new forecast calls for U.S. production to rise to 13.88 million bpd from 13.65 million bpd. In all OPEC expects production in non-OPEC countries to rise by 240,000 bpd this year, twice the increase it forecast last month "due mainly to higher expectations for the U.S. on the increase in prices," it said. 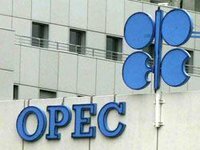 The previous report said overall non-OPEC production would rise from 57.14 million bpd to 57.26 million bpd. The corresponding figures in the latest report are 57.2 million bpd and 57.44 million bpd. OPEC forecast a slightly bigger decline in Russian production in 2017, from 11.09 million bpd to 11.03 million bpd compared with the previous month's forecast decline from 11.08 million bpd to 11.05 million bpd.